Years 7, 8 and 9 students at Catherine McAuley College are invited to take part in the annual Tournament of Minds competition, which requires teams of seven students to answer a major problem or puzzle, then present their answer in a creative way. Teams enter in areas such as engineering and maths, social science, or literature. 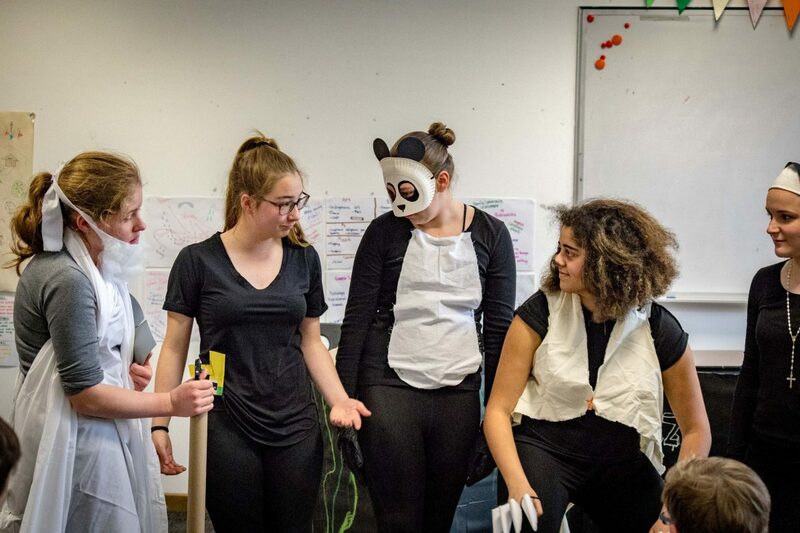 Without the assistance of staff, students respond to the given stimulus in any way they best see fit, creating scripts, props and costumes to impress. Following this, they are given a spontaneous challenge, aimed at testing their critical and quick thinking and improvisation skills. Our teams spend lunchtimes in the lead up to competition day preparing their presentation – generating ideas, rehearsing certain elements, and altering aspects of their work. On performance day, students come together in spirited competition, and put on display all of their hard work. Tournament of Minds gives students the chance to step outside their comfort zone, work collaboratively with others, and follow their subject interests. Students learn how to problem-solve, adhere to competition guidelines, and express themselves in a way they never thought possible. It also gives them an insight in, and helps them to develop, personal skills, that they can then use in their senior and tertiary study, as well as future careers.